Disclosure: I participated in an Influencer Activation on behalf of Influence Central for Beech-Nut. I received a free coupon to facilitate my review as well as a promotional item to thank me for my participation. All opinions and reviews are my own. 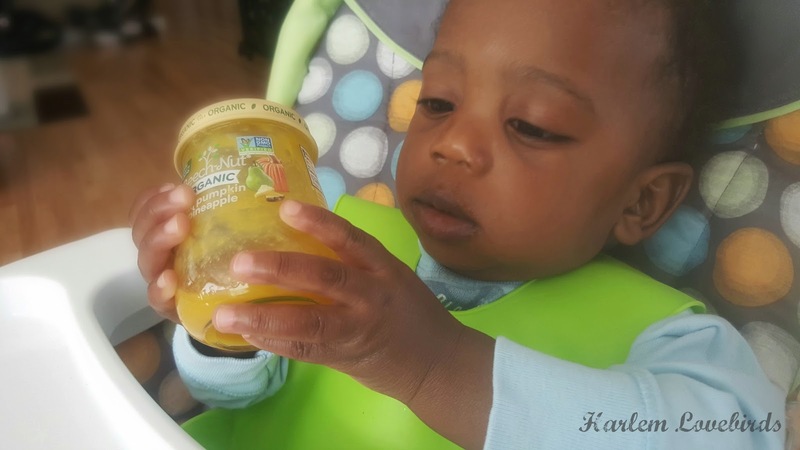 Grayson will be one year old next month, and it seems like it was just yesterday that I attended the New York Baby Expo where I was introduced to Beech-Nut's re-branded honey-pot, glass jars. I even Instagrammed them here! I grew up feeding Beech-Nut to my siblings who are 8, 10 and 12 years younger than I am, and it was refreshing to see how they've changed since then. It really is "just food," not baby food and it is simply delicious! 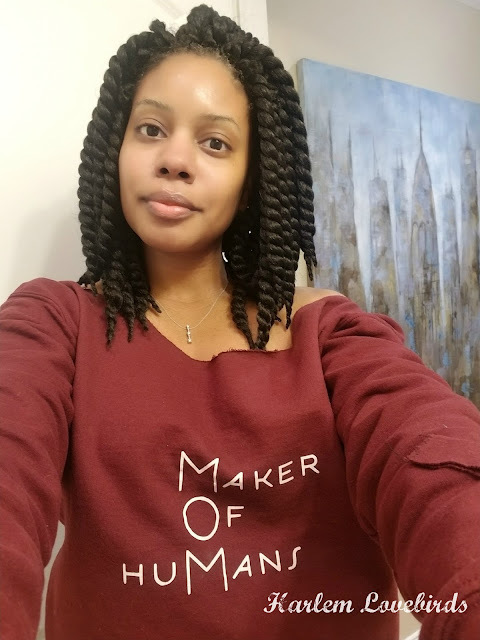 While I enjoying cooking and made baby food for both of my children, there has always been the need to have jarred food on hand for convenience and I appreciate that Beech-Nut prepares their food in the same way I cook mine using a trademarked just gentle cooking process. In the same way I prepare my food, Beech-Nut prepares their food without added water or artificial preservatives. We keep Beech-Nut on our shelves already so I was excited when I recently had the opportunity to sample the new organic line that Beech-Nut's introduced. While we're not strictly organic in our household, we do purchase organic food regularly especially for Grayson. Grayson isn't a voracious eater - we're actually in the midst of working on him gaining weight so when we find something he's enthusiastic about we stick with it! He's not talking yet, but when he hums for his food we know he likes it. And just like I show in the video above, I eat his food too, and I like it! Why give my baby something I wouldn't eat myself? 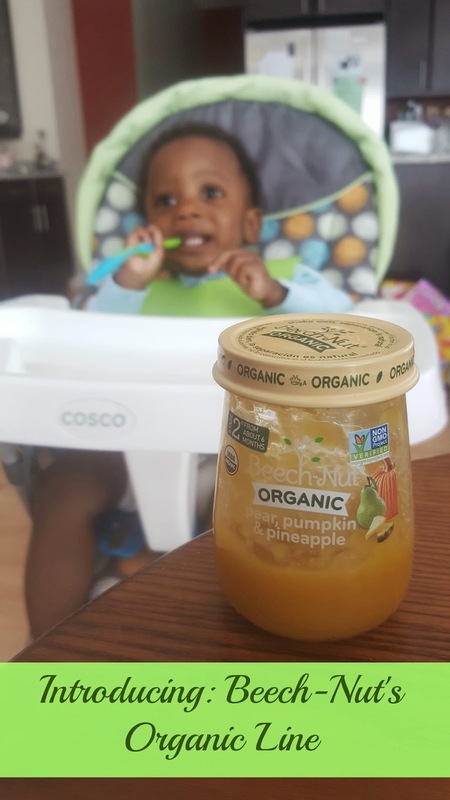 We're not the only fans either: just this year Beech-Nut won Product of the Year in the baby category for its 100% naturals and organic lines, as selected by more than 40,000 consumers in a national, representative survey by Taylor Nelson Sofres. Be sure to visit Beech-Nut's website and follow along on Facebook, Twitter, Instagram and Pinterest for the latest product news!